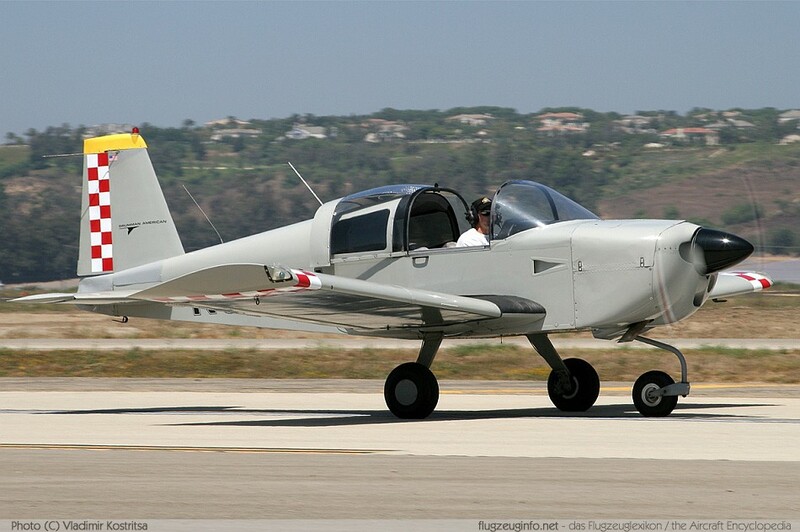 The American AA-1 is a single-engine two-seat light sport und trainer aircraft produced by the US-American manufacturer American Aviation Corporation and later Grumman American Aviation Corporation. The AA-1 was originally designed as the Bede BD-1 kit sport plane. The AA-1 was produced in the following variants AA-1 Yankee Clipper, AA-1A Trainer, AA-1B Trainer and TR-2, AA-1C Lynx and T-Cat.